Annual Spring Fling at the Soldiers’ Home is Saturday, May 7th | Park View, D.C. 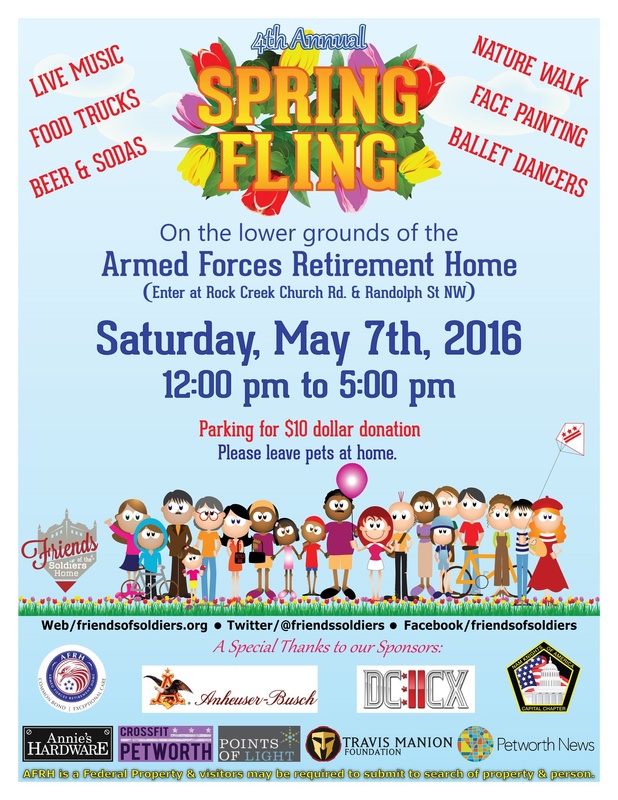 The annual Spring Fling at the Armed Forces Retirement Home is this Saturday, May 7th. More information is on the flyer below, and you can check out the schedule of events at the Friends of the Soldiers Home Web site. This entry was posted on May 4, 2016 at 7:01 am and is filed under Celebrations, Sports leisure and entertainment. You can subscribe via RSS 2.0 feed to this post's comments.